Fall 08 photos for you! The photos came in trickles, now there’s a tidal wave of Fall 08 campaign images. What’s your favourite? Daria rules. It is just the perfect ad. Out of these picks I love the dior one, but I’m generally in love with Pradas collection this autumn! I love Hilary shes definintly my fave!! I love MIA too, she’s great!! The 3rd is my favorite! And yay for drinks at the pub!! the saint john one is so borin !!! omg i hate it !! where’s angelina ? Ooo I love these! For me personally it would have to be the St. John’s, I love that photograph! Dior rocks ))) This a great photo. Love it )))Hugs from Angel. I adore Daria for Dior, and I love the feel of the Just Cavalli ad! 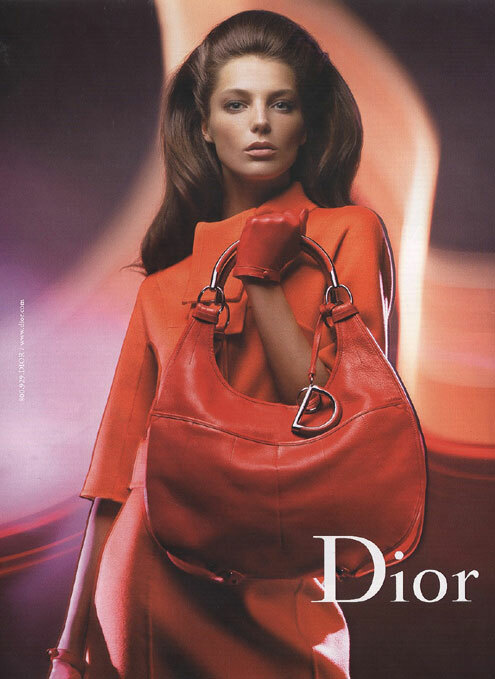 i love Daria Werbowy for Dior!